One of the engineers behind Google's self-driving car has established a nonprofit religious corporation with one main aim – to create a deity with artificial intelligence. According to newly uncovered documents filed to the state of California in September 2015, Anthony Levandowski serves as the CEO and president of religious organisation Way of the Future. The documents, discovered by Wired's Backchannel, detail that Way of the Future's mission is "to develop and promote the realisation of a Godhead based on artificial intelligence and through understanding and worship of the Godhead contribute to the betterment of society". No more is known about the specifics of Way of the Future's Godhead, so it seems unlikely that a figure will be revealed any time soon. 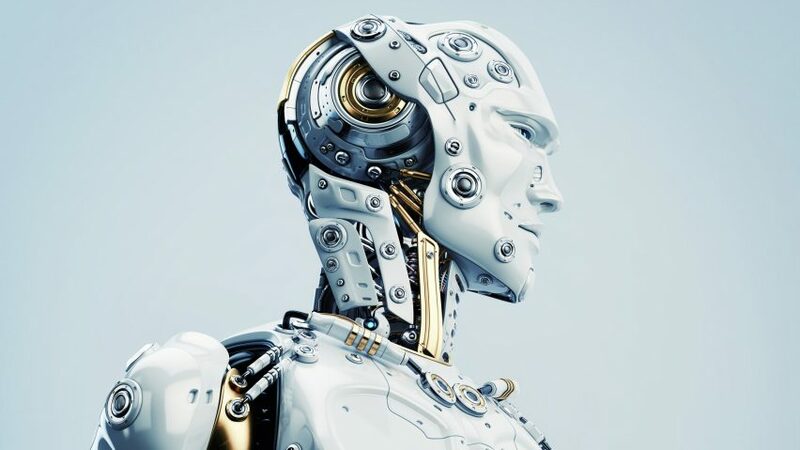 But the emergence of the documents demonstrates how the rapid advancement of AI and bioengineering is forcing discussions around how humans and robots will coexist on earth. According to Wired, many people in Silicone Valley believe in "the Singularity" – a time in the future when computers will surpass human levels of intelligence, which would likely trigger a major shift in power. Many in the design industry have already expressed concerns about the way humans and robots will live together. In a recent opinion piece for Dezeen, designer Madeline Gannon suggested that the rapid growth of robotics in global manufacturing could place people's livelihoods at risk, and called for designers and architects to play a role in shaping how the technology is used. "Robotic automation, despite its benefits, is arriving at a great human cost," Gannon said. "What should be clear by now is that the robots are here to stay. So, rather than continue down the path of engineering our own obsolescence, now is the time to rethink how humans and robots will coexist on this planet." "Designers, architects and urban planners all carry a wealth of knowledge for how living things coexist in buildings and cities – a knowledge base that is palpably absent from the robotics community." Before establishing Way of the Future, Levandowski founded autonomous trucking company Otto, which was bought by Uber just two months after he set it up, for a reported $680 million (approximately £515 million). Ahead of that, he was a co-founder and technical lead on the Google Waymo project, where he designed and built the Google self-driving car. In February 2017, Waymo filed a lawsuit that accused Levandowski of downloading highly confidential files and sharing trade secrets with Uber. As a result, in May this year, he was ordered by a judge to stop work on Otto's self-driving car project, but was fired by Uber just weeks later for reportedly failing to cooperate with investigators.